Fill up an extra-large stock tank with your best buds, grab some cushioned seats, and find a calm river to float. Don’t forget the beer! There’s a new way to get your kicks in rural Nebraska. 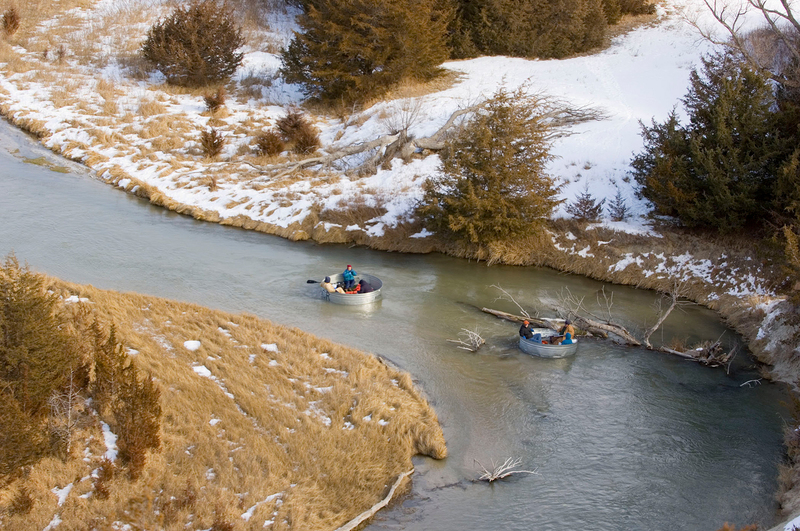 The uniquely Nebraskan water “sport,” tanking, is like tubing on steroids. Groups of three to six people comfortably float downstream, all held buoyant by giant metal tanks. 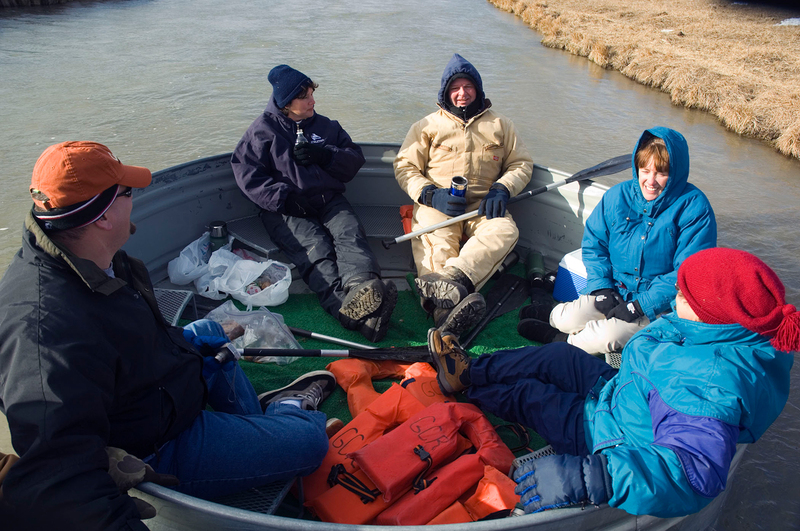 Large livestock tanks outfitted with seating and coolers carry passengers on calm waterways. The stream provides the motion, and a paddle on board can gently change course. Because of the tank’s cumbersome and circular shape, they bob up and down and rotate like a slow-motion tilt-o-whirl. 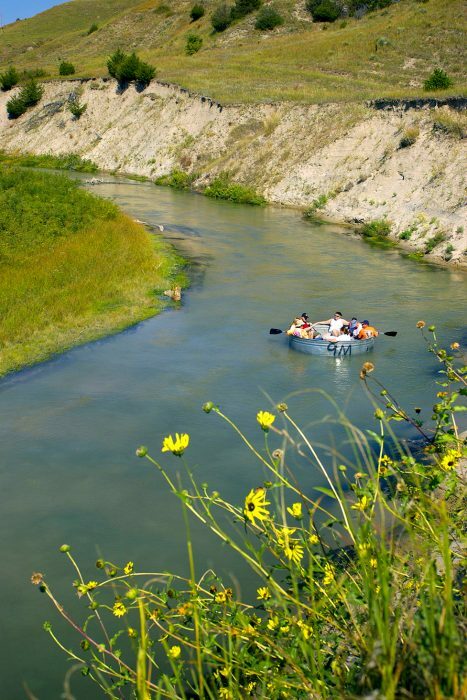 One company near Nebraska’s Sandhills offers tanking trips on the Dismal and Middle Loup rivers. From Glidden Canoe Rental at the Sandhills Motel, trips cost $36-$62, depending on the length of trip and vessel chosen. Watch the local waterfowl, soak up the sun, and enjoy lunch and brews: all from within your own tank, flowing downriver. Sounds heavenly, doesn’t it? Sometimes the simple things in life are best. Tanking exemplifies this. Of course, if traveling to Nebraska is not on the docket, you can make your own tank, but it’s not cheap. Galvanized Livestock tanks run a whopping $439. Add some seating and an American flag, and voila, homemade float tank. 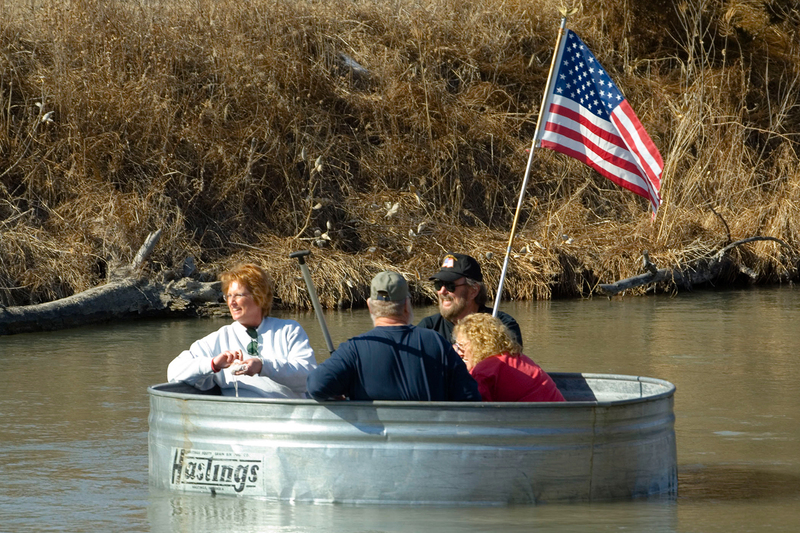 So the next time you feel bored with the same old canoe or kayak, look to Nebraska for innovation and try out tanking for yourself.